It’s been pretty quiet around here – between family celebrations and traveling and winter illnesses, I’ve been laying pretty low. But probably like so many of you, with the new year comes a rejuvenation. A fresh burst of ideas and energy. Recommitment and resolution. In the past, I’ve shared my one word for the year or my list full of hopes. This year, I’m all about jumping in. Taking a leap and not waiting for the perfect timing or circumstances. Because when is life ever going to perfect? [I’ll tell you, friends… never.] So rather than looking at my lists of somedays and things I want to do, I’m just going to do. So hopefully you’ll see me taking some sewing chances – trying new things and sharing ideas I’ve been sitting on for awhile, afraid to pull the trigger. I want to be a risky sewer [not risqué…. risky… make sure you read that one correctly!]. I don’t want to be afraid of making – and sharing – mistakes, because I think that calls for even more celebration of our successes. 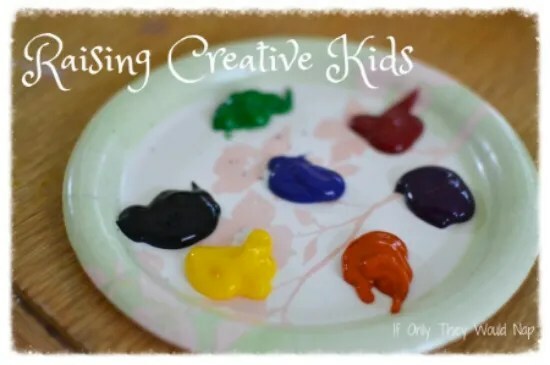 To start it all out, next week I’m starting an on-going series called Raising Creative Kids. I’ve had this one in my head for awhile, but it never seemed like the “right time” to do it. So here’s to throwing the idea of the “right time” out the window, hey? Thanks for following along with me last year, lovelies. I’m so excited for what 2014 has in store!